A new paper suggests that believing that negative personal characteristic tend to be associated with positive sides benefits one's performance. Here is the abstract of that paper. Abstract: Holding a lay theory that a negative personal attribute is associated with a positive attribute (i.e., a silver lining theory), may increase effortful performance in the domain of the positive attribute. In Study 1, individuals readily generated personal silver lining theories when prompted to consider a negative attribute, and the majority of individuals endorsed them for themselves. In Studies 2 and 3, we investigated how believing in a silver lining theory affected performance using the specific silver lining theory that impulsivity was associated with creativity. In both a college (Study 2) and an online sample (Study 3), individuals induced to believe that they were impulsive and then given the specific silver lining theory that impulsivity was related to creativity showed greater effort-based creativity than those for whom the silver lining theory was refuted. 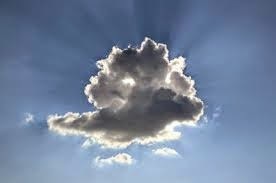 In Study 4, individuals made to believe that they were impulsive and given the silver lining theory performed more creatively than those who received no information about a silver lining theory, indicating that the silver lining theory increased performance relative to baseline. Silver lining lay theories may allow people to compensate for a negative attribute by promoting effortful behavior in the domain of a positive attribute believed to be linked to that negative attribute. This idea is not new, of course. As you can read in this article, we have been using subtle ways of influencing our clients' attributions of their own characteristics for a long time. We call this practice 'reframing'. But is valuable that there is now empirical evidence for the efficacy of this intervention.